The Sister from Below is delighted to invite you to a book event for Marked by Fire: Stories of the Jungian Way, sponsored by the Depth Psychology Alliance. Meet some of the authors and other like-minded folk. There will be refreshments and libations. Also, Patricia Damery and Naomi Lowinsky will be hosting a book club discussion group on the Depth Psychology Alliance website. Participation is limited to book club members but membership is free. Join here. 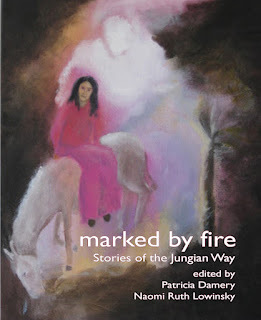 Shrink Rap Radio has done an interview about Marked by Fire: Stories of the Jungian Way with Co-Editors, Naomi Ruth Lowinsky and Patricia Damery. It can be found here! As a writer, I find myself saying things like, “My muse went on vacation,” (if I’m having a difficult time writing), or “My muse really kept me hopping last week,” (if the words are flowing freely and easily). I’ve heard the same sort of comments from lots of my writer and artist friends, too. But how many of us have taken the bother to learn who our muse is? Does she have a name? Is she ours exclusively, or does she hop from writer to writer on a whim? I’m ashamed to say, it’s never crossed my mind to even ask my muse anything about herself. Her name? I have no idea. Her favorite book? Not a clue. Am I her only writer/artist, or one of many? Your guess is as good as mine. I’ve never asked her. There’s one writer/poet out there who can answer those questions about her muse, because she’s been in a running dialogue with her for years. 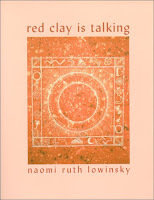 In her unique and highly entertaining book The Sister From Below: When the Muse Gets Her Way, Naomi Ruth Lowinsky lets the reader listen in on the conversation she’s had with her muse, who has appeared to her in nine distinct manifestations, the last of which is, surprisingly, male. 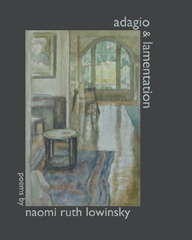 Lowinsky writes of the Sister from Below, her inner poet who, she writes, has been “trying to get my attention all my life.” She writes with longing about her muse from early childhood, a nursemaid who cared for her during a year her family lived in Florence, Italy. I had to put the book down and take time to recompose myself before moving on from this chapter, for my tears were flowing freely by this time. I wept not only for Lowinsky and all she lost, but for my own lost grandmothers as well. 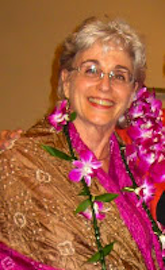 As a post-menopausal woman writer, I know the answer to her question: Sappho represents awakening kundalini, the awakening spiritual and creative energy that happens when women hit midlife. 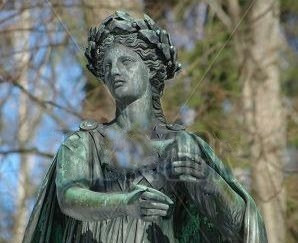 I just never realized this awakening was Sappho as the muse. The book continues with chapters on Helena, a root vegetable; and the Naomi of the Bible, for whom the author was named. Like the story of Eurydice, the Naomi who presents herself as muse to the author has quite a different story to tell than the one you’ll read in the Bible—a beautiful tale I prefer to the original. 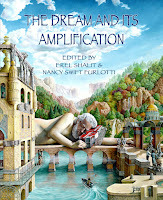 Finally, she writes of the muse in her (his?) male manifestation. The Sister From Below is an intensely personal, almost analytical exploration of the author’s creative side—not surprising, seeing as Lowinsky is a Jungian analyst. 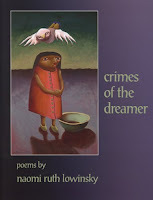 Filled with exquisite, heart-rending prose and poetry, it is a book to be savored, one chapter at a time, not rushed through like the latest Dan Brown suspense novel. It is, in places, highly entertaining, even funny. In other places, it will make you cry. Most of all, it will send you on a long journey within yourself, searching for your own muse, identifying her, inviting her to not only manifest herself through your creative, artistic side, but as a part of your personality as a whole as well. It will leave you changed. 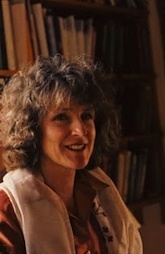 Smoky Trudeau Zeidel, whose deep connection to nature is apparent in all she writes, is the author of five books, three fiction and two nonfiction. Her current work in progress is due to be released in summer 2012. When not writing or exploring nature, Smoky spends time gardening, camping, meditating, and resisting the urge to speak in haiku.